A lovely parent and child class designed to help 1.5 to 2.5 year old children explore movement, music and song. If your child is bopping around to the Wiggles, they will enjoy this relaxed class full of fun and imagination! Mummy (or Daddy) & Me runs for 45mins and is an introduction to the performing arts. Its all about sharing a special time with your little one, whilst enjoying song, dance, movement, props and games. No previous dance experience is required for adults! Just a readiness to try things and support your little one in their learning! Mummy (or Daddy) & Me is a great opportunity to make new friends for yourself and your child. Also bring along current friends and their children to enjoy the experience!! Wonderful props are incorporated into the class and are used for dancing and developing the imagination of the little ones. Props are very exciting for students and something they look forward to every lesson! 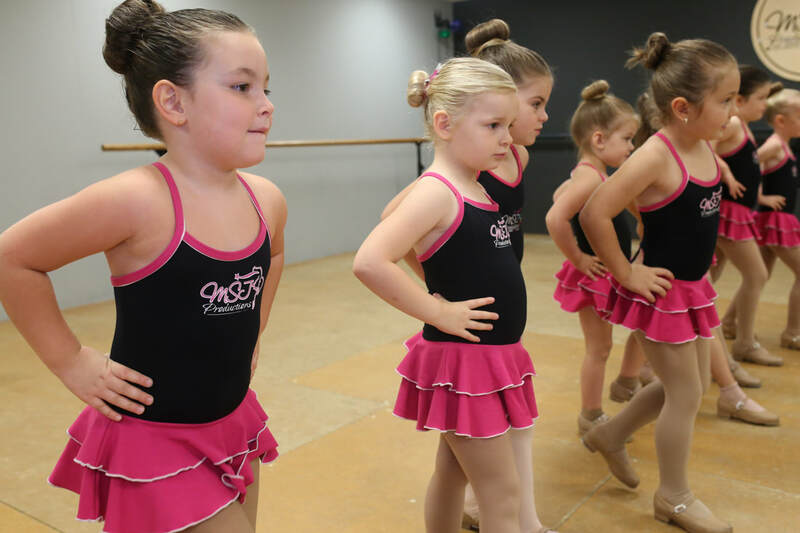 Broadway Babies is a fun filled class exploring singing, musicality, basic tap skills, song & dance and acting. The class focuses on providing children with a place to explore their imagination, learn about musical theatre in a fun and creative way. The class encourages creativity and imagination with a focus on bringing the joy of singing and dancing to the students. For the child who is always singing, twirling and full of imagination and personality. Exploring song & dance from shows like The Wizard of Oz, The Sound of Music, Annie, Mary Poppins, The King And I and many more. For ages 3-5yrs. ﻿Superstars is a combo of Song & Dance, Modelling and Hip Hop. High energy and lots of fun, a great class for those wanting to explore a few different styles of dance. Great for rhythm, confidence building and for those children who cant stop wriggling and bopping around the house! Learning dances to the latest music, classics and Hi5, this class is bouncy and engaging! Tini Triple Threat (Musical Theatre) In the performing arts industry, a triple threat performer is someone who is able to dance, sing and act! Musical Theatre is fantastic for all ages but the magic of performing this style is perfect for young children. A wonderful all-round class, Tini Triple Threat classes incorporate Vocal/Performance, Jazz Dance, Acro Skills and Tap Dance. Specialist teachers will train children in all areas with some basic acting. The end of year concert performance in the past has been from musicals such as Peter Pan, Mary Poppins, Gypsy, Beauty & The Beast, Annie and many others. ​The combos run after each other. Combos MUST be taken together (so 2 hours). ﻿﻿Hippity Hop (HIP HOP!) A first hip hop style class for little ones. Children have a lot of fun learning high energy, funky hip hop moves to the latest music. Great for rhythm, confidence building and learning to work in a team. A popular class for boys and girls aged 4-6 years! Tini Acrobatics is a fun and energetic class for ages 3-5years old. Teaching basic dance movement and the start of acrobatics skills. 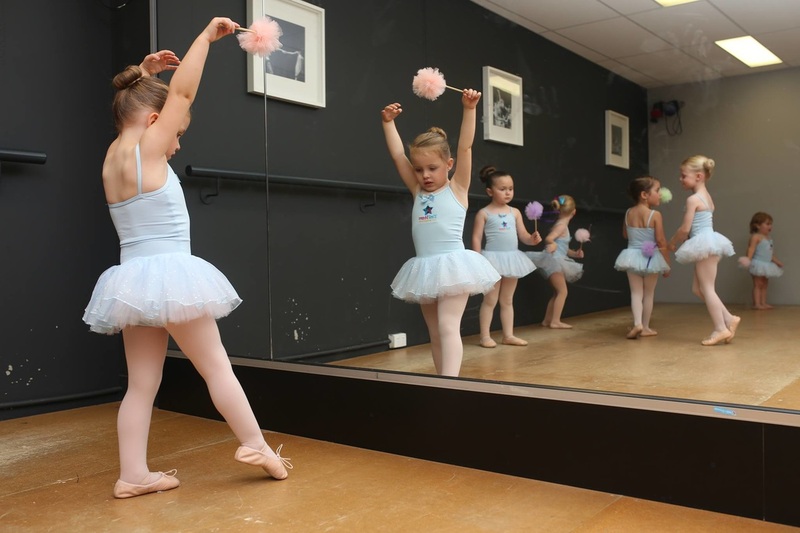 The class also works on flexibility, strength, movement awareness, musicality and all through imaginative exercises and movement! Singing Stars Have you got a little one that is constantly singing and performing around your house, in the shops... everywhere? Then this new class for Term 3 will be perfect for you! Let your little star explore all different styles of music, basic scales, all with the use of microphones and simple movements. Small class sizes to ensure maximum attention. So much fun and they will feel like a mini superstar! !